For Sriracha Mayo, combine all ingredients. Refrigerate at least 1 hour before using to allow flavors to blend. 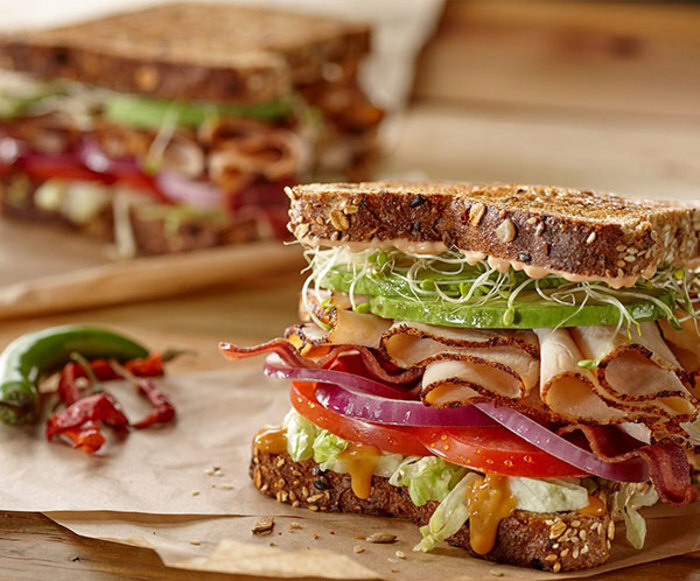 For the Turkey Club, spread butter on one side of each slice of bread. Toast, butter side down, until top of bread is medium golden brown. Spread spicy honey mustard on unbuttered side of bread. Then layer with lettuce, tomato, onion, bacon, deli turkey, avocado slices and sprouts. Cut sandwich diagonally in half to serve.